SharCALABARZON brought home back-to-back victories after being declared the overall champion of this year’s National Schools Press Conference (NSPC) and National Festival of Talents (NFOT) held in Dumaguete City, Negros Oriental. CALABARZON (Region IV-A) has been bagging the NSPC championship for six years in a row. In 2018, it dominated the individual, group, and school paper contests held from February 19 to 23 at different venues, including Silliman University, St. Louis School-Don Bosco, Catherina Cittadini School, Asian College, and Dumaguete City High School. Region III (Central Luzon) was the first runner-up, followed by the National Capital Region (NCR), Region V (Bicol Region), and Region IV-B (MIMAROPA). Individual contests included news, features, editorial, sports, Science and Technology, and column/opinion writing; photojournalism; copyreading and headline writing; and editorial cartooning, while the group contests were composed of radio script writing and broadcasting, TV script writing and broadcasting; collaborative desktop publishing; and online publishing. The school paper contest awarded the best news, features, editorial, Science and Technology, and sports sections, as well as the best layout and page design, and the overall best school papers. The outstanding campus journalists and school paper advisers per region were also given recognition in a separate awarding ceremony held on February 22. CALABARZON also won the overall championship in the 2018 NFOT also held in Dumaguete City from February 20 to 22. NCR won first runner-up, followed by Ilocos Region. Central Luzon and Central Visayas won third and fourth runners-up, respectively. With the theme, “Pagkilala sa Kulturang Filipino Tungo sa Kapayapaan, Pagkakaisa, at Pagbabago,” NFOT showcased the richness of Filipino culture, as well as the diversity of skills and talents of secondary school learners, as well as learners from the Alternative Learning System (ALS), through their products, services, and performances. The exhibition areas were categorized into five, namely: Technolympics; Sining Tanghalan; Pambansang Tagisan ng Talento sa Filipino; Special Program in Foreign Language (SPFL); and the National Population Development (PopDev) for Social Studies. Events and contests on Technolympics included automotive servicing, electronics product assembly and servicing, and electrical installation and maintenance (Industrial Arts); cookery, dress making, and beauty care (Home Economics); food preservation and packaging, food processing, and landscape installation and maintenance (Agri-Fishery Arts); and webpage designing, technical drafting, and computer systems servicing (ICT). Each region also showcased the products and services of their schools and learning centers through their booths during the festival’s bazaar exhibit. The Sining Tanghalan, meanwhile, showcased the learners’ skills and talents in dance, music, visual and media arts, creative writing, and theater arts, while the Tagisan ng Talentofeatured talents on impromptu speaking and interpretative reading. The contests for PopDev included debate, quiz, essay writing, poster making, and jingle writing and singing. Finally, the SPFL showcased characters on parade, singing idols, and quiz whizzes. The banners of the two national events were officially turned over to Ilocos Region – the host of the 2019 NFOT and NSPC – during the awarding and closing ceremonies held at Lamberto Macias Cultural and Sports Complex on February 22 and 23, respectively. The NSPC and NFOT are annual events of the Department, the former being dubbed as the “Olympics of campus journalism,” and the latter known as the official venue for the learners’ skills exhibition. 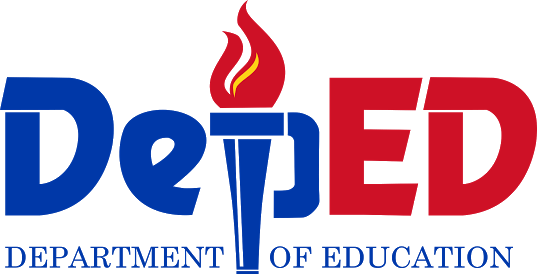 The complete list of winners shall be released through an official DepEd Memorandum.